President Obama’s shift in administrative policy on immigration has provided some political space for immigration activists pressing for comprehensive reform. Days after the announcement, the White House hosted a conference on immigration issues that included 200 activists (reported in Politico). Activists can’t let their gratitude get in the way of their larger ambitions. They have to find a way to work with Obama, who has been a sometime ally and frequent target for their efforts. Their interests may coincide, but they are certainly not identical. First and foremost, Obama is working to win reelection. That may be a necessary step toward comprehensive reform, but it’s certainly not sufficient. Immigration activists are well aware that Obama did not deliver on his campaign promise of comprehensive reform, nor was he even able to push Congress (then under Democratic control) to pass the DREAM Act. Successful politicians sell out the movements they surf (discussed here), riding their energy and directing it for their own purposes. It’s a trick for activists to be clear-eyed about this and get as much as they can for their efforts. First John F. Kennedy and then Lyndon Johnson pushed civil rights activists in the early 1960s to focus on voter registration, an important part of their much larger agenda. It might have been a good choice, but it surely wasn’t the only one, nor was it uncontroversial. 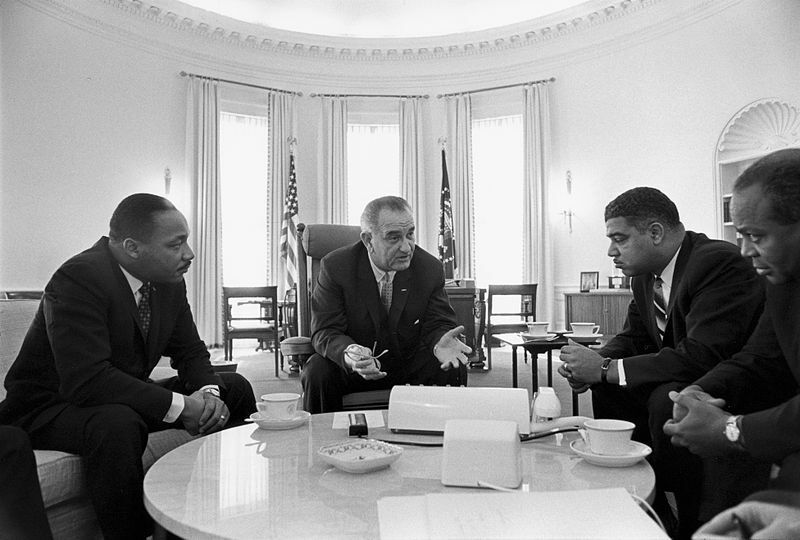 Because of his willingness to push the Voting Rights Act through Congress, President Johnson expected loyalty from the civil rights activists. Activists, of course, wanted more. Johnson felt betrayed when Martin Luther King came out against the Vietnam war in 1967. Activists for immigration reform have to find a way to take what President Obama has delivered and figure out how to press for more. Their efforts may include working for Obama’s reelection, but that can’t be enough. This entry was posted in Uncategorized and tagged Allies, Barack Obama, civil rights, Dream act, elections, immigration, Lyndon Johnson, Martin Luther King. Bookmark the permalink.